I am posting a new painting on Dailypaintworks.com. 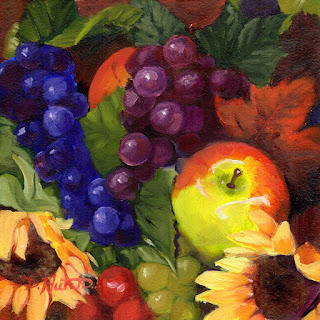 It is a bright still life of flowers and fruit. This is a site where photographers post images for artists to use for paintings. There is a larger version of this with a mask.